Passports Many months before you leave on your vacation, check your passport to make sure it is still valid and that you have plenty of pages in it for visa stamps. Countries such as South Africa will require two completely blank pages (void of any other stamps). The pages also need to be next to each other and this is the rule for every entry. You will also need to check the country requirements for your passport. Some will ask that your passport be valid for 6 months after you return home. Temporary passports are typically not accepted. Visas Some countries require that you obtain your visa prior to departure and others will allow you purchase your visa on arrival. A suggestion is to always obtain visas prior to arrival to avoid any nasty surprises. Such as the one that Zambia created when they changed their policy overnight with no warning to the travel trade. If you do decide to purchase or obtain your visa on arrival make sure you have sufficient funds in small bills. The port authorities do not always keep change. Vaccinations Depending on where you are going you may need to show a certificate of vaccinations. This may be required by the country you are travelling to. Yellow Fever vaccinations are a good example of this. You may want to check with your Doctor if you need any further shots. A travel clinic is another good resource to check with. Photography Remember when you are out in a remote part of Africa you won’t be able to pop to the nearest 7 / 11 for batteries if you run out. Make sure you either have rechargeable batteries or that you have a good supply. The same goes for memory cards and video tapes. 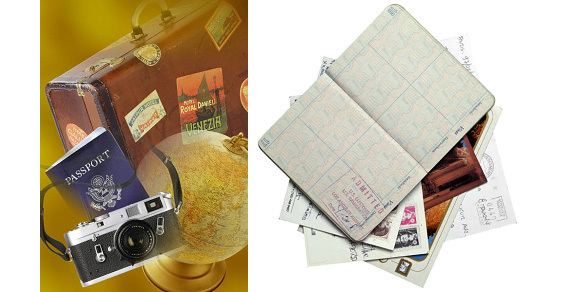 Keeping in touch Leave a copy of your passport’s biography page (the one with your photo on it) and a copy of your itinerary with a friend or family member at home. Also carry a copy of each with you. This way if you lose your passport you have a copy of the expiry date and passport no. when you apply for temporary one from your consulate in the country you are visiting. The itinerary will let your family know where you are. Credit Cards Check before leaving home, that your credit card company (Visa, Master Card, and Discover etc) is accepted in the country or at hotels and lodges that you are visiting. Also make sure you tell your bank that you may be making purchases from abroad to avoid any stops on your card. Although this may be changing soon, you can currently not use a Mastercard in Zimbabwe. Foreign Exchange Never change money with a street vendor. It is dangerous and illegal. You might find that the airport is convenient but local banks may be cheaper with their commissions and have a better exchange rate. ATM’s will not give you a good exchange. Remember you are going to pay a service fee at the ATM and then another service at your local bank at home. You are also vulnerable to the daily forex exchange rate. Airline luggage Make sure you know how many bags you are allowed on both your international and domestic flights. If you are flying domestically in the country you are travelling to you may not be allowed the same weight or number of bags as you were allowed on the international flight. Another big factor to consider is that small charter aircraft that fly guests between lodges in remote parts of Africa such as in the Okavango Delta in Botswana, will only accept soft duffel like bags and a strict weight restriction is enforced. Taxes Departure taxes should be included in your air ticket but always check this because you will need cash in small notes to pay the taxes on departure. Also keep all your receipts, you may be able to claim back. This entry was posted in All about travel, Travel tips and news and tagged about visas and travel, About Zambia, About Zimbabwe, airline luggage tips, foreign exchange requirements, foreign requirements vaccinations, international communication, passport advice, Travel safety, Travel tips by Findtripinfo.com. Bookmark the permalink. A suggestion is to always obtain visas prior to arrival to avoid any nasty surprises. Yes you are absolutely correct, don’t always trust that visas are obtainable at the border because the regulations can change overnight. Thank you very much for the suggestion. Travelers were given a nasty surprise some years ago when the Zambian entry visa fees more than doubled overnight with no warning. Many travelers were stuck at the border with too little cash to pay the visa fees.